Life love clutter and other beautiful things: Can a dress be too pretty? Can a dress be too pretty? No. What a silly question!! 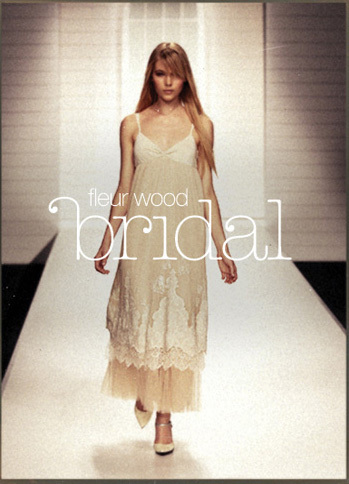 If you love a pretty dress, me thinks you will like these new Fleur Wood dresses. If you are lucky enough to live in Sydney or Melbourne you can apparently see the five beautiful bridesmaid dresses that Fleur has created. Ins't it fun to play dress up? I love it. I agree, who needs to be a bride or bridesmaid to wear a pretty dress? oh wow! absolutely super duper pretty!